This essay concerns itself with disembodied hair and will show via the discussion of a range of cultural and historical examples that such hair is, in Freudian terms, uncanny. It makes connections between hair’s place in memorial, ritual and magic, to emphasise its ambiguous and in some cases troubled relationship to the rest of the human body. The essay explores the relationship between disembodied hair, the ghostly, and specific historical and cultural contexts that make the use of uncanny hair of this kind an enduring motif in the representation of the spectral and the supernatural. Hair: Styling, Culture and Fashion explores the social importance of hair, wherever it grows, explaining the cultural significance of hair and hairiness, and presenting a new critical engagement with hair and its stories, histories, performances and rituals. From heads, legs and underarms, to wigs and beards, and everything in between, the presentation, manipulation and daily experience of human hair plays a central and dynamic role within fashion, self-expression and the creation of social identity. 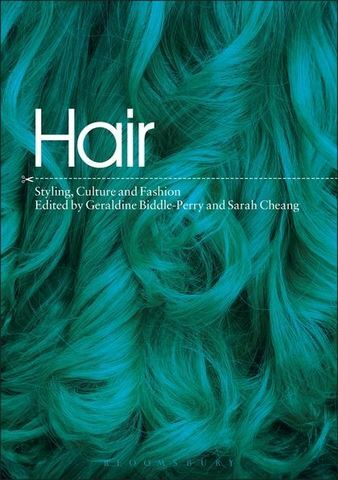 The book's diverse range of cross-cultural essays encompasses the study of hair in fashion, film, art, history, literature, performance and consumer culture. Offering an accessible mix of visual analysis, cultural commentary and critical theory, Hair: Styling, Culture and Fashion will appeal to all those interested in the presentation and analysis of cultural identity and the body. 15. Hair and Fashioned Femininity in Two Nineteenth-Century Novels, Royce Mahawatte.